The Western Australia Brewer’s Association is led by a four member committee that is elected annually. The committee is made up of volunteers from different backgrounds with different areas of expertise in the brewing industry, all working together to support and promote the craft brewing industry of Western Australia. Dan has been brewing commercially in W.A. for approximately 14 years. He has brewed and worked at a number of local breweries, both big and small, including Inchant, Mash Brewing, The Swan Brewery, Little Creatures and Nail Brewing. Working at both independent and non-independent businesses has given Dan a great insight into the difficulties that small breweries face in keeping competitive and promoting themselves in an ever challenging market. Dan is passionate about the W.A. craft brewing industry, loves working with the great people within it, and is determined to help support and promote W.A. Craft Breweries. Dan currently brews at Billabong Brewing in Myaree. Andy fell in love with making beer in the late 90’s when he was a cash strapped arts student. 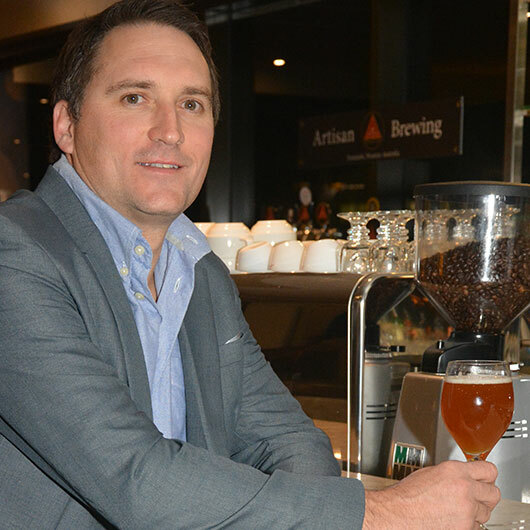 After reinforcing his appreciation for beer whilst back packing in Europe, he returned to university to study brewing and has spent the last 15 years indulging his passion for making great beers. Most of this time has been spent at Little Creatures, finishing up as Brewing Manager giving him the honour of being the guardian of the iconic Pale Ale, one of his epiphany beers that sent him on this path all those years ago. He then got to indulge another dream by installing, commissioning and now brewing at Bevy Brewery in The Camfield next to the new Optus Stadium. Mike recently joined the beer industry at the beginning of 2018, and is currently a Sales Representative for Otherside Brewing Co. For the past 15 years Mike had been assisting with a range of businesses as a Commercial Business Manager for 2 of Australia’s largest banks. Prior to his life in the banks, Mike spent 5 years as a Marketing Assistant with the West Coast Eagles while completing his Management and Marketing degrees at Edith Cowan University. Mike is not just passionate about great beer, but also about growing and strengthening the beer industry as a whole within WA. Mike and his wife Tash have two little girls to keep them busy outside of work, and together they love to travel when ever possible, whether it be overseas or shooting down to our Southwest.